could help with a question. I have 10 heavily wooded acres and need to remove quite a few pine and juniper stumps. I have been looking in the 25-30 hp range (Big Three)w/BH. Is this range too small for the task? YAW115; How big are the stumps? What do you want tne tractor to do after the stumps are gone? Tell us more. Stumps bigger than 18 inch diamater are going to be a real challenge for that size hoe. perhaps hire someone with a full size hoe to take care of the stumps, then if you still want a hoe one of that size will handle 99% of what you need done. Glad to hear you're staying with the big three, you will get better resale, better dealer networks with readily avaiable parts are a big part of tractor ownership. All three are good machines, but again my old sermon on dealers. do a bit of research on LOCAL dealers, how long have they been in business, the personality of the sales staff, well established service dept. etc.. Ask around people will tell you of the good and bad dealer experiences. What ever brand you buy, sooner or later it will need service, that's where a good local dealer is real important to your ownership experience. A bargan price two states away don't mean much when you need service today. Enjoy what you buy. Frank. GOOD LUCK WITH YOUR PURSHASE. Sorry,Excuse moi j'ai de la misere avec mon anglais. The big 3 (Kubota, John Deere, NH) have some excellant machines. But Massey Ferguson, Kioti, Mahindra, Etc. also offer some very nice machines. Definately worth checking them all out in my opinion. 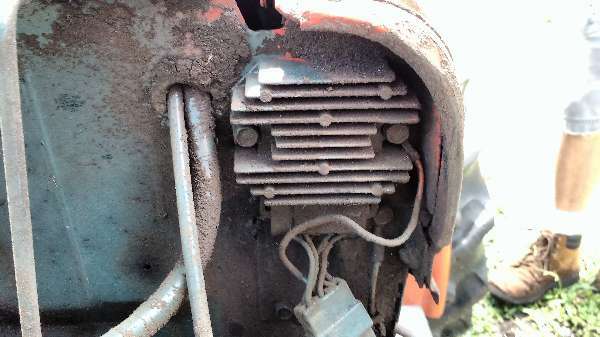 I have a 2001 Kioti DK 35. Really been pleased with this tractor and my dealer. 940 hours on my DK 35 and it has been problem free so far..
Konichi wa, watashi no french sugoi warui desu. De mo, watashi no Nihongo mo chotto daijobu desu. a backhoe. (My Japanese is o.k. though) Best I could get is that your 955 was sufficient. But most are 18" or less. After that, I have an easement of about 2k ft., fence work, move some rock around, ...etc. I just like doing the work myself as much as possible. I like the work but my arms are tired after cutting all that firewood. Do you think something in the 30-35 range would be better? I am also looking at MF. Kioti and Mahindra look good but I don't know of any dealers around here. (I won't buy new from someone's garage.) Tractors don't seem as popular in AZ as they are in IA, MO, TX, ....etc. Maybe all the cactus, I don't know? Excuse me I have misery with my English. Thanks Chief, I guess I wasn't even close!